Reservation taken from 5.30PM fkor family dining and 9PM for live vocal. Robin Persons pays true homage to the late great king of pop, singing 100% live lead vocal, his voice replicates the distinctive tones of Jackson- you could be forgiven for believing he mimes. His dancing mirrors the legend in every detail. 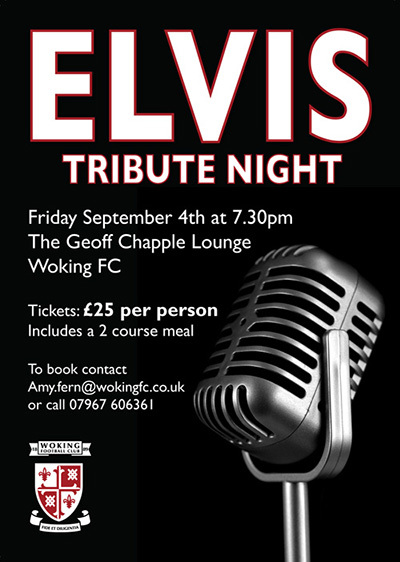 Features:An Exclusive Evening with Top Quality Live Vocal. 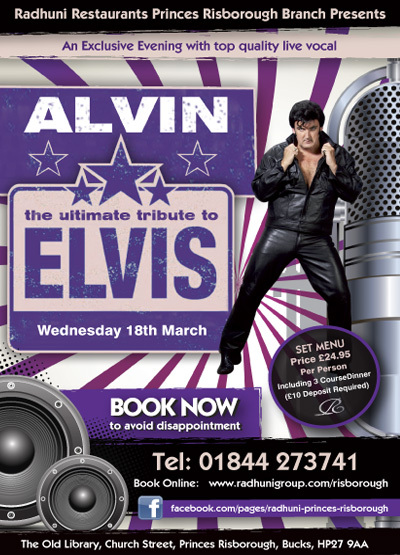 Join us for what is always a highly entertaining and engaging evening of entertainment with the stunning and hugely talented Alvin as the king himself, Elvis. Performing a range of stunning classics and not so well known numbers live and accompanied by hip gyration and swagger, Alvin is a performer that always delights and leaves the audience sure they were in the company of the man himself ! Accompanied by our set menu for the evening this evening is sure to fill quickly so be sure to call early ! Features:Live entertainment accompanied by three cource set dinner menu. This Valentines Day Treat Your Loved One at Radhuni. and second sitting from 8:00 pm to late. 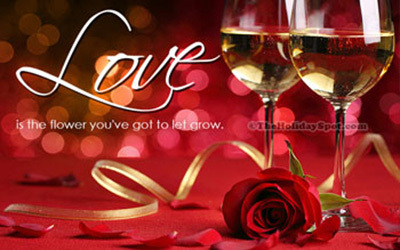 Event:This Valentines Day Treat Your Loved One at Radhuni. Features:Special Set Menu Designed By Our Executive Chef. The Abba Sisters are in town! 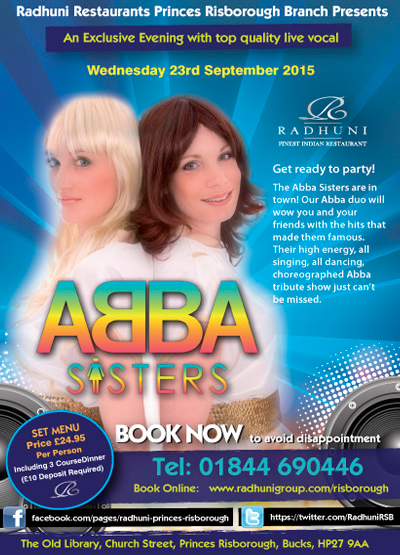 Our Abba duo will wow you and your friends with the hits that made them famous. Their high energy, all singing, all dancing, choreographed Abba tribute show just can’t be missed. Features:Live dance and vocal entertainment accompanied by three course meal. 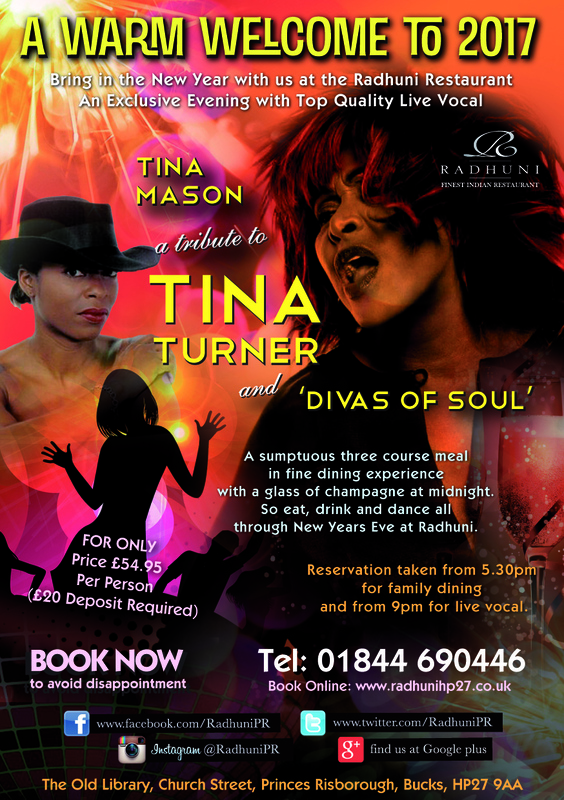 Celebrate New Years Eve at Radhuni Risborough accompanied by our live entertainment. Celebrate new years eve with Radhuni Princes Risborough. 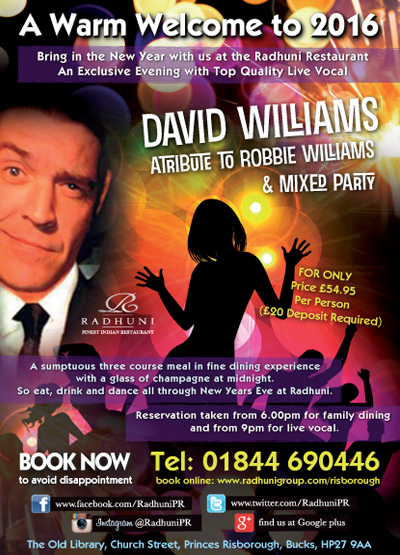 Featuring an evening of fine indian dining and live entertainment provided by the fabulous Robbie Williams tribute performer, David Williams. Always a popular entertainer, David performs a range of live vocals of popular numbers and is sure to provide a fitting welcome to 2016 at Radhuni. Accompanied by a sumptious three course find dining experience and champagne at midnigh to welcome to new year this is certain to be a truly entertaining evening worthy of welcoming the new year in ! Location:Radhuni, The Old Library, Princes Risborough. Features:New Years Eve featuring live vocals accompanied by fine dining. Location:Radhuni Princes Risborough, The Old Library. Princes Risborough. Buckinghamshire. HP27 9AA. Jazz Night with Swing 42 Jazz at Radhuni Princes Risborough. 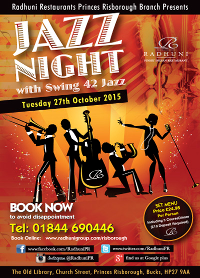 Join us for a truly outstanding evening of entertainment with live Jazz provided by the stunning Swing 32 Jazz! Playing some classic Jazz numbers, accompanied by our selected set course menu the evening is sure go off with a swing. Features:Live Jazz entertainment accompanied by three cource set dinner menu. 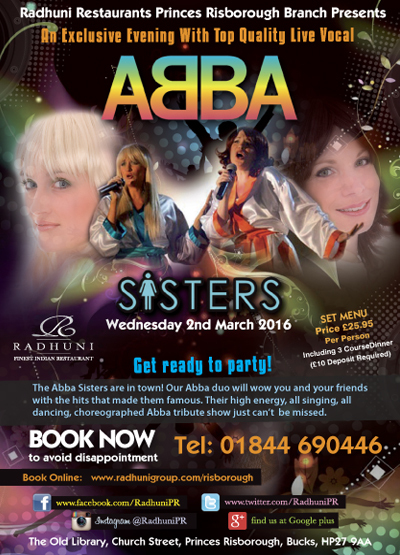 The stunning ABBA Tribute band Abba Sisters Visit Rsdhuni for an evening of entertainment and fine dining. Our AbbA duo will wow you and your friends with hits that made them famous. Rod Stewart tribute at Radhuni Princes Risborough. Dave Springfield as Rod Stewart evening, Radhuni Princes Risborough 3rd June 2015. 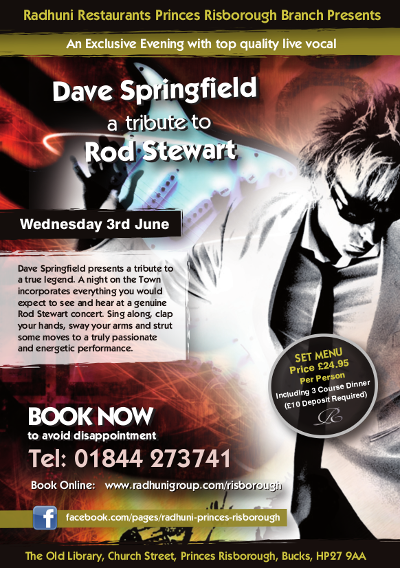 Featuring the stunning Dave Springfield as Rod Stewart, performing live vocals and performance. Featuring many of the artists classic and best loved numbers, Dave is the ultimate Rod Stewart performer and always a fantastic crowd pleaser. Event:Rod Stewart tribute at Radhuni Princes Risborough. Valentines Day Treat for your loved one with Radhuni Princes Risborough. 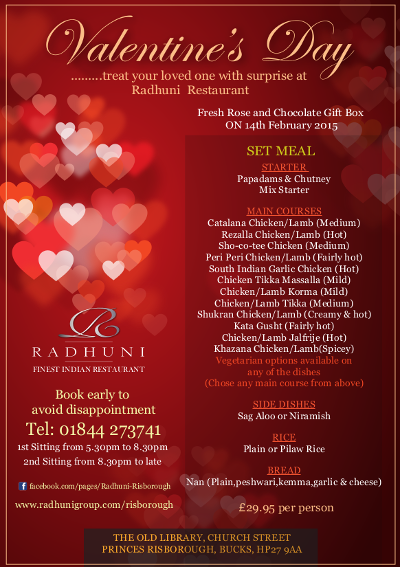 Why not enjoy an evening with a loved one this Valentines Day with a special evening at Radhuni Princes Risborough. Featuring a chocolate gift boxz, rose and specially selected menu, designed by our Celebrity Chef, just for the evening. Location:Radhuni Princes Risborough, The Old Library, Church Street, Princes Risborough. HP27 9AA. Features:Selectec Menu Designed by our Celebrity Chef and gift box. 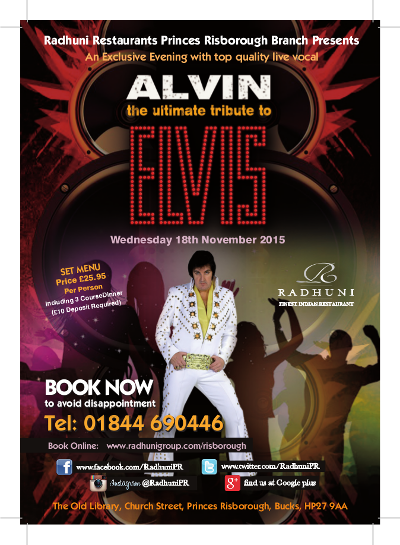 Featuring Alvin, the Ultimate Tribute to Elvis, Radhuni Flackwell Heath are proud to once again bring a little of Las Vegas. 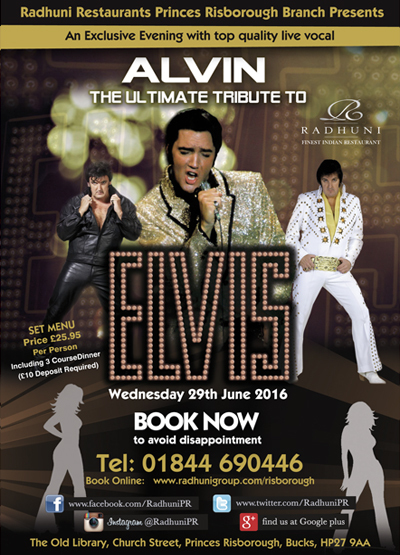 Sure to be an evening of superb entertainment accompanied by our specially selected three course set menu dinner.